Monday Update: Fox's Deadpool exploded this weekend with an estimated four-day debut of $150.0 million. The Ryan Reynolds led antihero film destroyed expectations and the previous four-day Presidents Day weekend record of $93.01 million set last year by Fifty Shades of Grey. Deadpool also set a new benchmark for the X-Men universe, as the film opened 22 percent stronger than the $122.86 million four-day launch of 2006's X-Men: The Last Stand and 36 percent stronger than the $110.58 million four-day start of last year's X-Men: Days of Future Past. The comparison to Days of Future Past is especially impressive given that Deadpool didn't have the added advantage of higher priced 3D admissions and opened in 438 fewer locations. Fox's revised three-day estimate for Deadpool is $132.75 million. That represents the 17th largest opening weekend performance of all-time without taking into account ticket price inflation. Deadpool demolished the previous all-time R-rated and February three-day opening weekend records, as the film opened 45 percent ahead of the $91.77 million 2003 debut of previous R-rated record holder The Matrix Reloaded and 56 percent ahead of the $85.17 million take of previous February record holder Fifty Shades of Grey. Deadpool opened with $47.45 million on Friday (which included an estimated $12.7 million from Thursday night shows), dipped just 10 percent on Saturday to take in $42.62 million and was essentially unchanged on Valentine's Day Sunday to gross $42.69 million. That places the film's opening weekend to Friday ratio at 2.80 to 1, which is very encouraging for a high-profile comic book adaptation (even with Valentine's Day in mind). The film is estimated to fall 60 percent today to take in $17.25 million. Fellow Fox release Kung Fu Panda 3 placed in a distant second place with an estimated four-day take of $26.0 million. The 3D computer animated sequel from DreamWorks Animation was up an impressive 22 percent over last weekend's three-day frame. Kung Fu Panda 3 was helped out this weekend by no new family films entering the marketplace, by the four-day holiday frame and by Super Bowl 50 having deflated last weekend's grosses in general. Kung Fu Panda 3 has grossed $100.26 million in 18 days. That places the film 17 percent behind the $120.75 million 18-day gross of last year's Hotel Transylvania 2. Kung Fu Panda 3 is likely to hold up well throughout the rest of February, thanks in part to no new family films entering the marketplace until the arrival of Disney's Zootopia on March 4. Fox's revised three-day estimate for Kung Fu Panda 3 is $19.65 million. Warner's How to Be Single debuted in third with an estimated four-day start of $20.6 million. The romantic comedy from New Line and MGM featuring Dakota Johnson opened in line with pre-release expectations. How to Be Single benefited from Valentine's Day falling on Sunday and from ultimately representing a better alternative choice to Deadpool than Zoolander 2 did. The four-day launch of How to Be Single was 16 percent stronger than the $17.81 million four-day start of 2009's Confessions of a Shopaholic. How to Be Single opened with $5.25 million on Friday (which included an estimated $700,000 from Thursday night shows), increased 14 percent on Saturday to gross $5.99 million, was up 11.5 percent on Sunday to take in $6.68 million and is estimated to decline 60 percent on Monday to gross $2.69 million. How to Be Single received a respectable B rating on CinemaScore and currently has a 65 percent audience score on Flixster. Warner's revised three-day estimate for How to Be Single is $17.91 million. Meanwhile, Paramount's Zoolander 2 had to settle for a fourth place estimated four-day take of just $16.0 million. The PG-13 rated comedy sequel starring Ben Stiller and Owen Wilson opened well below expectations, which had tended to be in the range of $20 million to $25 million. While Zoolander 2 had generated strong online activity levels before its release, that online activity and the film's cult following failed to transfer over to the box office this weekend. Obviously, the break-out performance of Deadpool also significantly limited the potential of Zoolander 2 this weekend. Without taking into account 15 years of ticket price inflation, the four-day start for Zoolander 2 was a disappointing 2.5 percent below the $16.41 million four-day gross of 2001's Zoolander. Zoolander 2 opened with $4.20 million on Friday (which included an estimated $750,000 from Thursday night shows), increased 11 percent on Saturday to gross $4.65 million, was up 10 percent on Sunday to gross $5.10 million and is estimated to fall 60 percent on Monday to gross $2.05 million. The film received a soft C+ rating on CinemaScore and currently has an audience score of just 36 percent on Flixster. Neither is a good sign for Zoolander 2 going forward. Paramount's revised three-day estimate for Zoolander 2 is $13.95 million. Fox's The Revenant and Disney's Star Wars: The Force Awakens claimed fifth and sixth place with respective estimated four-day takes of $7.80 million and $7.61 million. Both films held up very nicely over the holiday frame, as The Revenant was up 12 percent over last weekend and The Force Awakens was up 9 percent. Respective total grosses stand at $916.26 million for Star Wars: The Force Awakens and at $160.06 million for The Revenant. Universal's Hail, Caesar! and Lionsgate's The Choice took seventh and eighth place with respective estimated four-day grosses of $7.23 million and $5.95 million. Hail, Caesar! was down a troubling 36 percent from last weekend's three-day debut, while The Choice was down just 2 percent thanks in part to its Valentine's Day appeal. Respective eleven-day grosses stand at $21.99 million for Hail, Caesar! and at $13.96 million for The Choice. Sunday Update: Fox's Deadpool exploded this weekend with an estimated three-day debut of $135.0 million. The Ryan Reynolds led antihero film not only destroyed expectations, but destroyed the previous all-time R-rated and February opening weekend records as well. Deadpool opened 47 percent ahead of the $91.77 million 2003 debut of previous R-rated record holder The Matrix Reloaded and 58.5 percent ahead of the $85.17 million start of previous February (and Presidents Day weekend) record holder Fifty Shades of Grey. Deadpool also delivered the largest debut ever for a film in the X-Men universe, as it opened 31 percent ahead of the $102.75 million three-day start of 2006's X-Men: The Last Stand. Deadpool opened 49 percent ahead of the $90.82 million three-day debut of last year's X-Men: Days of Future Past, which is especially impressive given that Deadpool didn't have the added advantage of higher priced 3D admissions and opened in 438 fewer locations. Without adjusting for ticket price inflation, Deadpool registered the 17th largest opening weekend of all-time. The film also claimed the fifth largest debut ever for a Marvel adaptation (behind only 2012's Marvel's The Avengers, last year's Avengers: Age of Ultron, 2013's Iron Man 3 and 2007's Spider-Man 3) and the seventh largest debut ever for a comic book adaption of any kind (behind only 2012's The Dark Knight Rises and 2008's The Dark Knight in addition to the four mentioned Marvel films). Thanks to a marketing campaign that went over amazingly well with moviegoers, Deadpool had generated strong online activity for months. But the film ultimately performed far stronger than even its online strength had suggested. In addition to the film's marketing striking the perfect chord with comic book fans and general audiences alike, Deadpool was also helped by the popularity of the character among comic book fans, good critical reviews and by Valentine's Day falling on Sunday. Deadpool opened with $47.46 million on Friday (which included an estimated $12.7 million from Thursday night shows), dipped just 10 percent on Saturday to take in $42.55 million and is estimated to increase 6 percent on Valentine's Day Sunday to gross $45.00 million. That places the film's estimated opening weekend to Friday ratio at 2.85 to 1, which is very encouraging for a high-profile comic book adaptation (even with Valentine's Day in mind). Deadpool received a strong A rating on CinemaScore and currently boasts a terrific 96 percent audience score on Flixster. With word of mouth this strong, it's very possible that Deadpool will have stronger than expected holding power as well, on top of its already explosive debut. 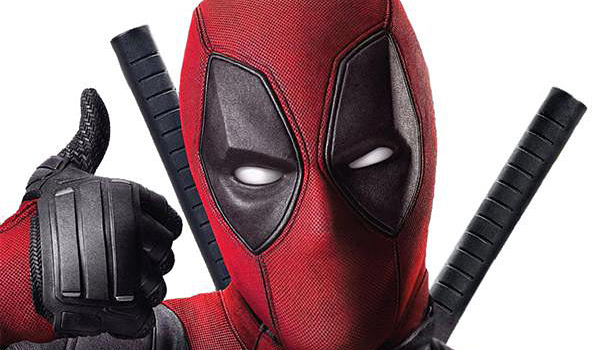 Fox's current four-day estimate for Deadpool is $150.0 million. Fellow Fox release Kung Fu Panda 3 placed in a distant second with an estimated three-day take of $19.65 million. The 3D computer animated sequel from Fox and DreamWorks Animation was down just 14 percent from last weekend. Kung Fu Panda 3 was helped out this weekend by no new family films entering the marketplace, by the holiday frame and by Super Bowl 50 having deflated last weekend's grosses in general. Kung Fu Panda 3 has grossed $92.46 million in 17 days. That places the film 21 percent behind the $116.94 million 17-day gross of last year's Hotel Transylvania 2 (which fell 38.5 percent in its third weekend to claim $20.42 million). Kung Fu Panda 3 is likely to hold up well throughout the rest of February, thanks in part to no new family films entering the marketplace until the arrival of Disney's Zootopia on March 4. Fox's current four-day estimate for Kung Fu Panda 3 is $26.0 million. Warner's How to Be Single debuted in third place with an estimated three-day start of $18.75 million. The romantic comedy from New Line and MGM featuring Dakota Johnson opened towards the higher end of pre-release expectations. How to Be Single benefited from Valentine's Day falling on Sunday and from ultimately representing a better alternative choice to Deadpool than Zoolander 2 did. How to Be Single performed 24 percent stronger than the $15.07 million three-day start of 2009's Confessions of a Shopaholic. How to Be Single opened with $5.25 million on Friday (which included an estimated $700,000 from Thursday night shows), increased 14 percent on Saturday to gross $6.00 million and is estimated to increase 25 percent on Sunday to take in $7.50 million. The film received a respectable B rating on CinemaScore and currently has a 66 percent audience score on Flixster. BoxOffice currently estimates that How to Be Single will take in $21.0 million over the four-day frame. Meanwhile, Paramount's Zoolander 2 had to settle for a fourth place estimated three-day launch of $15.65 million. The PG-13 rated comedy sequel starring Ben Stiller and Owen Wilson opened well below pre-release expectations. While Zoolander 2 had generated strong online activity levels before its release, that online activity and the film's cult following failed to transfer over to the box office this weekend. Obviously, the break-out performance of Deadpool also significantly limited the potential of Zoolander 2 this weekend. Without taking into account 15 years of ticket price inflation, the three-day start for Zoolander 2 was very similar to the $15.53 million debut of 2001's Zoolander. Zoolander 2 opened with $4.20 million on Friday (which included an estimated $750,000 from Thursday night shows), increased 11 percent on Saturday to gross $4.67 million and is estimated to increase 45 percent on Sunday to gross $6.78 million. The film received a soft C+ rating on CinemaScore and currently has an audience score of just 37 percent on Flixster. Neither is a good sign for Zoolander 2 going forward. Paramount's current four-day estimate for Zoolander 2 is $18.0 million. Beyond the top four, other estimated three-day grosses this weekend included $6.90 million for Fox's The Revenant, $6.59 million for Universal's Hail, Caesar!, $6.19 million for Disney's Star Wars: The Force Awakens and $5.25 million for Lionsgate's The Choice. 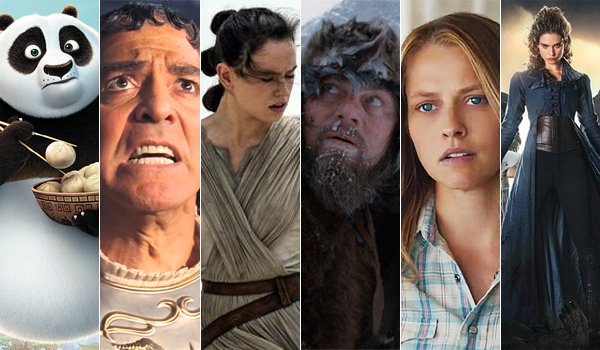 The Revenant (down 1 percent), The Force Awakens (down 11 percent) and The Choice (down 13 percent) all held up extremely well this weekend, while Hail, Caesar! was down a troubling 42 percent. Respective current total grosses stand at $914.84 million for The Force Awakens, at $159.16 million for The Revenant, at $21.35 million for Hail, Caesar! and at $13.26 million for The Choice. # Indicates a BoxOffice.com estimate. Saturday Update: Fox reports this morning that Deadpool is utterly crushing records for an R-rated film -- and then some. The Ryan Reynolds vehicle exploded with an estimated $47.5 million opening day on Friday, including $12.7 million from Thursday night shows. That handily surpasses The Matrix Reloaded's previous record opening day for an R-rated film ($37.5 million, or $42.5 million counting its Wednesday early shows in May 2003), as well as previous graphic novel adaptation champ 300 ($28.1 million opening day in March 2007). Among other records Deadpool has or will be chasing down, it topped last year's Fifty Shades of Grey ($30.3 million) for the best all-time February opening day and looks to steal that film's $85.2 million record four-day President's Day weekend when all is said and done. It should also have little trouble taking down Matrix Reloaded's R-rated weekend record of $91.8 million (which American Sniper's $89.3 million, in addition to Grey, came close to last year). Not unlike Disney/Marvel's Guardians of the Galaxy, Fox's phenomenal (and consistently viral) Deadpool ad campaign over the last few months has turned a largely unknown character (outside of fans) into an instant mega success. Despite no serious built-in franchise event-level appeal, plus its R rating, the film's first day stands as the 24th highest in history. It even surpassed Guardians itself ($37.9 million opening day), and every Marvel movie -- from any studio -- not named Avengers, Spider-Man, or Iron Man. Those franchises (five films between them) plus the final two Dark Knight films stand as the only "comic book" adaptations to claim higher opening days than Deadpool. In other words, and in a fantastic moment of irony, it topped the openings days of every X-Men film (The Last Stand's $45.1 million being the highest). Adding to all of this is the fact that word of mouth is stellar. Some natural drop-off will occur due to the immense upfront fan demand, but with very impressive 96 percent Flixster and 84 percent Rotten Tomatoes scores as of this morning, the pic could play very well beyond this Valentine's/President's Day weekend. The calendar makes projections trickier than usual at this point, particularly because Valentine's Day date crowds will sway the market on Sunday. This is the kind of film that could take a hit from that, but it's also showing signs of crossing over into being a date night movie itself. We'll have further analysis on Deadpool's debut and numerous records in the days ahead as it gets a chance to play out. For now, BoxOffice projects a colossal and record-smashing $114 million three-day opening weekend and $127 million for the four-day holiday frame. MGM/New Line's How to Be Single bowed with $5.25 million yesterday, surprisingly coming in second place ahead of Zoolander 2. That's a very healthy start for the fairly low-profile rom-com as it aims to benefit from date night crowds this weekend. BoxOffice projects a $20.3 million three-day opening and $22.8 million for the extended frame into Monday. Speaking of Zoolander 2, the comedy follow-up started with an estimated $4.2 million. The original film's fans had been demanding a sequel for the past decade, but it clearly is being overshadowed by Deadpool buzz. Reviews (22 percent) and word of mouth (38 percent) appear to be heading in the wrong direction, unfortunately, which leads to our current three-day and four-day projections of $13.6 million and $15.5 million, respectively. Kung Fu Panda 3 tacked on another $3.88 million on Friday for a new tally of $78.1 million. Look for an $18.2 million three-day weekend and $24 million over the four-day. Meanwhile, The Revenant and Star Wars: The Force Awakens continued to hold their own despite a wave of new competition. The former posted $1.3 million yesterday for a new total of $153.6 million stateside, while the all-time domestic record champ added $1.2 million for a new haul of $909.85 million. Our weekend projections for those and the remainder of the top ten can be found below (ranked by four-day estimates). We'll update with weekend estimates from the studios on Sunday morning. Friday Update: Multiple sources report that Deadpool gunned down an excellent $12.7 million from Thursday night's opening shows, taking down the all-time R-rated record of $10.4 million from The Hangover Part II and the overall February record of $8.6 million by last year's Fifty Shades of Grey. Following an extensively viral ad campaign that dominated social media since last summer, last night's debut impressively bested numerous superhero adaptations as well -- namely Guardians of the Galaxy ($11.2 million), fellow in-universe title X-Men: Days of Future Past ($8.1 million), and Ant-Man ($6.4 million). It's no wonder Fox greenlit a sequel earlier this week given the very strong word of mouth coming out of last night's first shows. Among last night's earnings were $2.3 million from IMAX alone, the best ever posted by an IMAX title in February, and sixth highest of all-time (more than Furious 7). Weekend projections are more challenging than usual given the landing of Valentine's Day on Sunday and President's Day on Monday, but given the strong reception so far we're inclined to believe Thursday front-loading won't be abnormally severe. The top five R-rated weekends of all-time (Friday through Sunday) belong to films that earned over $83.8 million -- with the top two being The Matrix Reloaded's $91.8 million and American Sniper's $89.3 million. Those are also close to the proximity of Guardians' $94.3 million opening weekend and Days of Future Past's $90.8 million three-day start. Even though Deadpool's Sunday may be deflated by date night crowds, it may have enough lead-in already to get close to those figures. For the four-day, last year's Fifty Shades of Grey set a new President's Day frame record with $93.0 million. Deadpool has a great shot at topping that, and could be looking upward of $100 million+ by the end of the extended weekend if everything goes its way. Either way, coupled with a fantastic overseas start as well, this is a massive success already for Fox, Ryan Reynolds, and co.
Also debuting last night was Zoolander 2, which posted a more modest $750,000 from early shows. By comparison, Anchorman: The Legend Continues did $2.3 million from its early show opening, although that film opened one week before Christmas when many were out of school and work for the holidays. Lastly, How to Be Single posted $700,000 last night, a solid total that indicates some potential to upset Zoolander 2 for second place among this weekend's openers. That figure topped About Last Night's $530,000 Thursday night start one day before Valentine's in 2014. We'll have further analysis and our weekend estimates on Saturday morning once the studios release official Friday estimates. Universal's Hail, Caesar! held steady in second place with $0.673 million. The Coen Brothers directed film featuring Josh Brolin and George Clooney was down a sharp 12 percent from Wednesday, as the late night launch of Deadpool clearly took a toll on holdovers aimed at adult moviegoers yesterday. Hail, Caesar! placed in second for the week with a seven-day start of $14.76 million. While Hail, Caesar! has performed in line with expectations so far, the film is also displaying early signs of being relatively front-loaded for a Coen Brothers film. Disney's Star Wars: The Force Awakens was up one spot from Wednesday to move into third on Thursday with $0.585 million. The seventh chapter of the Star Wars franchise was down 7 percent from Wednesday and down 27 percent from last Thursday. The Force Awakens took fourth place this week with $9.57 million. That was down just 34 percent from the previous week and brings the film's eight-week total to a record breaking $908.64 million. Fox's The Revenant followed closely behind in fourth with $0.577 million. The Alejandro González Iñárritu directed western starring Leonardo DiCaprio fell 9 percent from Wednesday and 38 percent from last Thursday. The Revenant placed in third this week with $9.66 million. The film was down 43 percent from the previous frame and has grossed an impressive $152.26 million through five weeks of wide release (and an additional two weeks of platform release). Lionsgate's The Choice and Sony's Pride and Prejudice and Zombies rounded out their disappointing first week performances with respective fifth and seventh place takes of $446,522 and $283,226. The Choice was up a healthy 6 percent over Wednesday, while Pride and Prejudice and Zombies was down a troubling 19 percent. The Choice placed in fifth place this week with a soft $8.01 million, while Pride and Prejudice and Zombies was even softer with a sixth place take of $6.89 million. According to MovieTickets.com, domestic box office advance ticket sales for "Deadpool" currently tops the list accounting for 66% of all tickets sold by the company in the last 24 hours. Of those tickets, over 20% are for moviegoers who are purchasing tickets to see the film on an IMAX and/or premium large format screen. "How to be Single" is next up at 6% of all tickets sold in the last 24 hours followed by "Zoolander 2" coming in at 4%. LOS ANGELES - February 10, 2016 - "Deadpool" is killing it at the top of Fandango's Fanticipation movie buzz indicator with an indestructible 93 out of 100 points. The highly-anticipated R-rated superhero movie has been the #1 film in Fandango's daily sales for the last two weeks and is outselling last year's superhero debut movie, "Ant-Man," at the same point in the sales cycle. "Moviegoers will be flocking to theaters this weekend for ‘Deadpool,' which is garnering strong buzz for its unique blend of edgy comedy and over-the-top violent action," says Fandango Correspondent Dave Karger. "The fans are looking forward to Ryan Reynolds suiting up for off-the-wall humor unlike anything they've seen in previous superhero movies." 59% plan to see the movie with a friend or group of friends; 41% plan to see "Deadpool" with a date or significant other. The Revenant took third place again on Wednesday with $0.633 million. That gives the 12-time Oscar nominee an excellent running tally of $151.7 million domestically thus far. Star Wars: The Force Awakens wasn't far behind in fourth place with another $0.628 million, bringing its all-time domestic record total up to $908.1 million. Meanwhile, The Choice tacked on $0.42 million yesterday to give it a $7.6 million six-day total. Last week's remaining opener, Pride and Prejudice and Zombies, grossed $0.35 million on Wednesday for a disappointing total of $6.6 million since opening last Friday. Universal's Hail, Caesar! held steady in second place with $1.08 million. The Coen Brothers directed film featuring Josh Brolin and George Clooney was up a very solid 22 percent over Monday's performance. Hail, Caesar! has grossed $13.33 million in five days. That is in line with expectations and places the film 6.5 percent behind the $14.25 million five-day start of 2008's Leatherheads. Fox's The Revenant took in $0.818 million to remain in third. The Alejandro González Iñárritu directed western starring Leonardo DiCaprio was up 18 percent from Monday and down 32 percent from last Tuesday. The Revenant has grossed an impressive $151.05 million after 33 days of wide release (and an additional two weeks of platform release). Disney's Star Wars: The Force Awakens continued to claim fourth place with $0.708 million. The seventh chapter of the Star Wars franchise was up a slim 4 percent over Monday and down just 24 percent from last Thursday. The Force Awakens has grossed $907.43 million in 54 days, as the film continues to pad its total as the highest grossing domestic film of all-time. Fellow Disney release The Finest Hours rounded out the day's unchanged top five with $0.686 million. 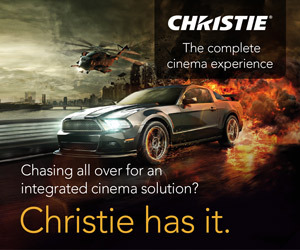 The 3D action drama starring Chris Pine was up a healthy 46 percent over Monday and down 39 percent from last Tuesday. The Finest Hours has grossed a lackluster $19.65 million in twelve days of release. Lionsgate's The Choice followed closely behind in sixth with $0.660 million. The Nicholas Sparks adaptation starring Benjamin Walker and Teresa Palmer was up a strong 54 percent over Monday. Despite yesterday's hold, The Choice has grossed a softer than expected $7.14 million in five days. That places the film 38 percent behind the $11.58 million five-day take of 2014's The Best of Me. Pride and Prejudice and Zombies placed in seventh with $0.507 million. The horror romance hybrid from Sony and Screen Gems increased 18 percent over Monday. Sony's Pride and Prejudice and Zombies has grossed a disappointing $6.26 million in five days. The film is currently running a very underwhelming 69 percent behind the $20.24 million five-day start of 2012's Abraham Lincoln: Vampire Hunter.